Samsung is planning to start rolling out the Android 9 Pie stable update for the Galaxy Note 9₹ 62,400 smartphone in January 2019. The phone is currently undergoing the beta testing. Additionally, it is expected that the Samsung Galaxy Note 8₹ 48,900 and Galaxy S8₹ 36,099-series smartphones will receive the Android Pie update in February of next year. 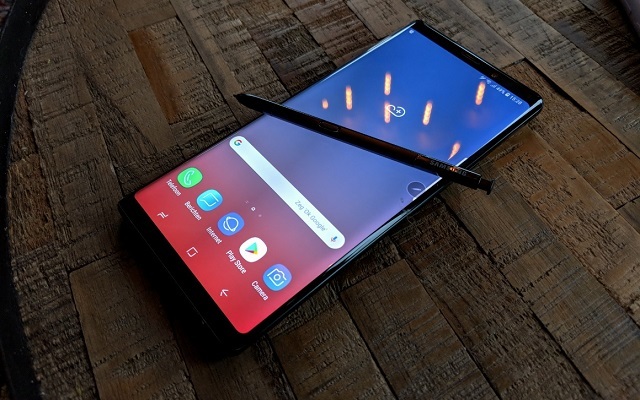 The Galaxy Note 9 will be the third smartphone from Samsung to receive the latest Android operating system, after the South Korean company started pushing the same update for the Galaxy S9 and S9+ smartphones last week. According to Samsung-affiliated Turkish website Guncel Miyiz, Samsung will begin the Pie update rollout for the Note 9 on January 15, whereas the Galaxy Note 8₹ 48,900, Galaxy S8 and Galaxy S8+₹ 32,499 will get the update on February 15. Although it is unclear if the update date is Turkey-specific, but it is quite likely. Still, it does offer a tentative time-frame on when to expect the Android Pie update on the four Android phones. The Turkish website also adds that all the updates are currently undergoing testing. The update dates revealed by the Guncel Miyiz are ahead by one month than what was earlier seen in Samsung Members app. Meanwhile, the Samsung Galaxy S9₹ 48,500 and Galaxy S9+₹ 52,499 owners, who have received the Pie update, are haven’t a great time as some of them are facing battery drain issue and others are dealing with Bixby 2.0 related problems.